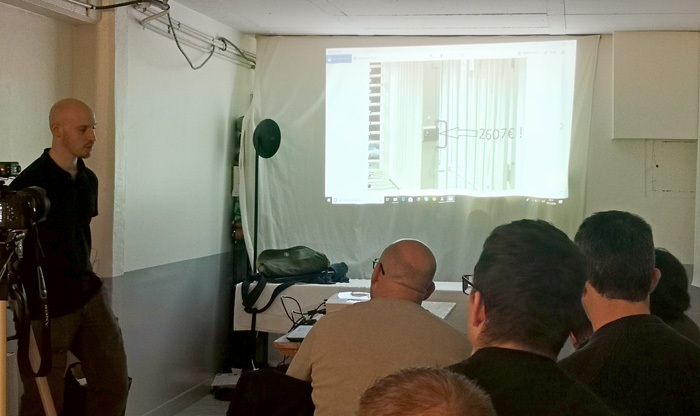 A week ago, I visited the French lockpicking group, l’Association des Crocheteurs de France. They regularly have meetings in Paris. 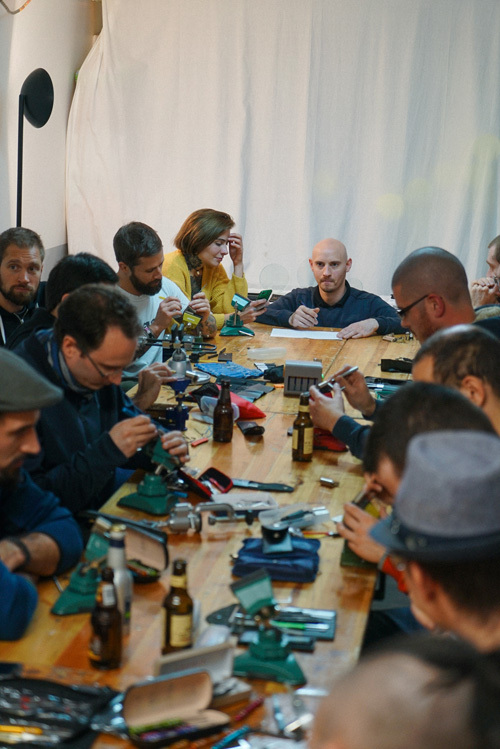 But last week, they had combined their meeting with lockpicking competitions and lectures (also in Paris). There was a nice crowd. The ACF has been able to find a nice place in Paris to meet, in the 11th arrondissement. The lockpicking competition was like that in the Netherlands, where you are divided in groups and every group gets locks, given out by the organisation. Winners of each group go to the semi-finals and then the finals. What was interesting, was that the locks were dimple locks. 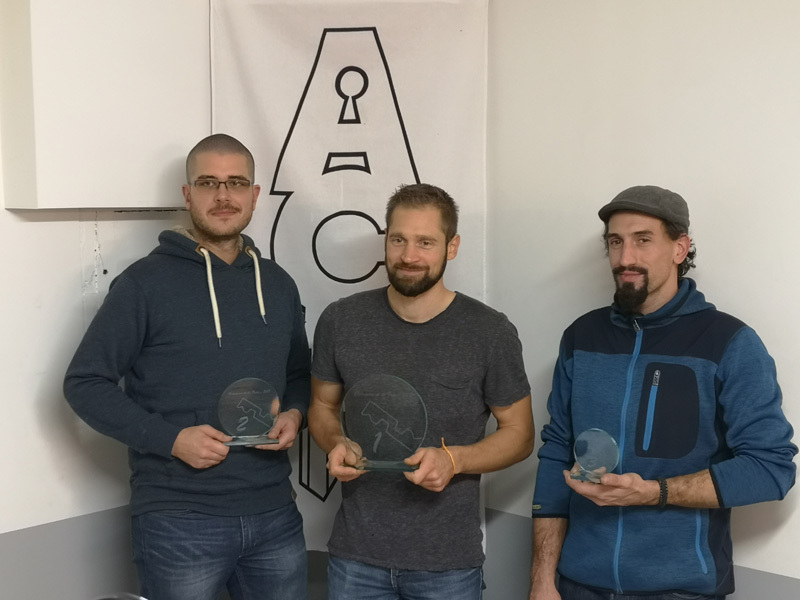 Although the French lockpicking group is quite new (founded 3 years ago), they chose to make it difficult! The final consisted of three rounds of 30(!) minutes. After that, the top-3 was known: 1st place for BilLock, 2nd for Cinok and 3rd for BisBis. Congratulations! After the competition (and dinner), there were four interesting lectures. One was about what you can deduce by just looking at a lock. The person who has organised the whole thing, Fabien, also gave a lecture. It was about a popular (but very expensive) French lock, that looks like an impossible-to-pick lever lock, but in fact there are several ways of defeating it, as Fabien showed. If you live in France, be sure to visit them! This entry was posted on Sunday, November 25th, 2018 at 15:16 and is filed under Conference, Gatherings. You can follow any responses to this entry through the RSS 2.0 feed. You can leave a response, or trackback from your own site. Entries (RSS) and Comments (RSS). 49 queries. 0.392 seconds.